Amsterdam, 27 November 2018 – The Guardian published a well researched and extensive long read, which analyzes the current worldwide revolt against plastic. In the last few years, people realised that the plastic soup crisis is one of the larger environmental problems of our day, which has to be solved. According to the writer, this realisation occurred after the public outrage of the use of microbeads in cosmetics; oddly enough, he does not refer to the success of the 2012 campaign Beat the Microbead, started by the Plastic Soup Foundation. Consumers didn’t want be complicit in the plastic soup crisis, through a simple act such as washing your hair, just because producers replaced the natural ingredients in shampoos and shrubs by the much cheaper microplastics. What is the core problem? For several decades, an alliance of several different, plastic related industries has countered all problems regarding plastic waste with a strategy primarily based on the continued production and increased sales of plastics. According to the Guardian article this is a two-part strategy. The consumer is responsible for the plastic waste and not the plastic producers, is the first part of the strategy. And producers, the interested parties, finance organisations that promote this message. In the United States, this organisation is called Keep America Beautiful and the Dutch sister organisation is called Nederland Schoon. The second part of the strategy is the promotion of the recycling of plastic household waste. This is based on the suggestion that plastic can easily be recycled and that this is a solution for the environmental problems. However, the reality demonstrates that only a very small percentage of plastics can be recycled and the products made of recycled plastic are of inferior quality. Furthermore, not all plastics are separately collected. But the public recognizes the simplistic ideas behind this strategy and does not accept it anymore, and what is more the public has also convinced their governments. This has finally resulted in a ban on certain plastics products and governments will increasingly place the responsibility of the plastic waste back on the shoulders of the plastic producers. The author points out a paradox in his article: while we are aware of the seriousness of the problem, we also realize the difficulty and complexity in solving plastic soup crisis. The important players in the plastic industry, for instance, are globally organized and thus difficult to regulate. However, never before has there been such a momentum to take care of the plastic soup crisis. Amsterdam, 28 November 2018– Is there even basic political support for a European tax on virgin plastic? It would appear so. Günther Oettinger, European Commissioner for Budget and Human Resources suggested just this, last January already. The EU Green Party also began a campaign this year for the introduction of a tax on plastic manufacturers. At the very same time, the packaging industries are leading strong lobbying aimed at preventing any kind of tax on plastic and advocating purely voluntary measures being taken, if any. 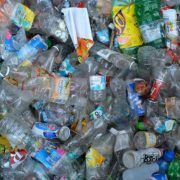 The European Commission (EC) wants to see much more plastic being recycled. There is no announcement of any tax to stimulate that at all in the Plastics Strategy. Instead, the EC required the industry to promise to clean up their act, on a voluntary basis, just this last summer. From among the 65 pledges received by the Commission, it transpires that European recyclers in 2025 could recycle 10 million tonnes of plastic. However, going on this week’s press release on the subject, the EC has identified a huge problem. They may very well say there are 10 million tonnes of plastic for recycling, but there is only actual demand for 5 million tonnes. Plastic manufacturers want to (re)use only good quality recycled plastic. Frans Timmermans, European Commissioner for Better Regulation (etc.) said: “We will now analyse which should be the next steps to further boost the uptake of recycled plastics and close the gap between supply and demand”. From the press release, it appears that this further analysis, to be published by the EC early 2019, does not exclude new laws and economic incentives. Nicely bringing tax on virgin plastic into the picture. The discussion on levies for virgin plastic has been given a boost within the UK recently. The core message taken from last week’s report as distributed among UK MPs is that companies are taxed specifically when they use non-recycled plastic, or plastic with too low a percentage of recycled content. The report was written for the WWF and Resource Association, by the Eunomia advisory. This suggested method of operation will make it more expensive to make new (packaging) plastic. Meaning, an overall reduction in the amount of plastic, a reduction in the use of raw materials, and a reduction in CO2 emissions besides. On the other side of the coin, it makes it financially more attractive to make and use recycled plastic, given that that will remain free of any levy. Amsterdam, 2 November 2018 – The European Commission is taking a series of measures to reduce the number of plastic packaging. In its document, ‘Changing the way we use plastics’, it states that the average European produced 31 kilograms of plastic packaging waste in 2014. Englishman Daniel Webb put it to the test. Throughout 2017, artist Webb collected all the plastic packaging from the groceries he bought. He ended up very close to the European average with 29 kilos. 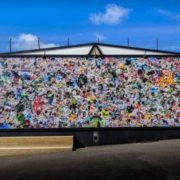 Webb not only created a piece of art that shows the amount of plastic one person produces, but also analyzed that mountain of waste in detail. The numbers are represented in his report ‘Everyday plastic. What we throw away and where it goes’. The 29 kilos consisted of 4,490 pieces of plastic: a daily average of 12. Extrapolated to all UK residents we’re talking about 295 billion pieces of plastic being discarded in one year. Of all the plastic he collected, 93% was plastic packaging that could only be used once (single use). 67% of this was used to package food. What happens to all the collected plastic waste? Webb calculated that a mere 4% of the plastic waste he produced is recycled. This turns out to be an entirely different number from the one the European Commission uses. The European Commission poses in the mentioned document that 40% of all plastic packaging was recycled in 2015. Ten times as much. Is that right? And how can we explain this huge deviation in percentages? The European Commission based its research on numbers from PlasticsEurope and Eurostat. A more detailed explanation and recent numbers can be found in the Plastic Facts report by PlasticsEurope. In 2016, 16.7 million ton of plastic packaging waste was collected in the European Union. Of this collected waste 40.9% was recycled, 20.3% dumped and 38.8% burned (winning back energy). Of course, there are differences per country, but according to this report the UK belongs in the category of countries with 40 to 45% recycling. The first deviation is that Webb looked at what British councils do and don’t collect for recycling. He gives an example. Plastic containers made of PET for tomatoes are 100% recyclable. The containers are collected by 76% of the councils in the UK, but only 32% of the containers are collected with recycling in mind. Because only 32% of the tomato containers are recycled, he uses this percentage. By then applying this approximation to all plastic waste items, Webb comes to the conclusion that only 10% of his plastic waste is collected for recycling. A second deviation is that Webb focusses on recycling in the UK itself, whereas the European Union and the plastic industry also add the plastic waste that is exported. That last part is dubious, because it’s unclear what the receiving countries do with the plastic waste. Webb calculates that the United Kingdom exports 63% of its plastic waste. You can’t just blindly consider that 63% as recycling. Webb comes to the conclusion that a mere 4% of his plastic waste is truly recycled. The European plastic industry goes by ten times that. How a broader definition of the industry fools us all. Photograph: Artwork by Webb with plastic waste collected by himself. From 19 to 21 September, the environmental ministers from the G7 countries will come together in Halifax, Canada. They will meet to discuss a sustainable future. One of the subjects on the agenda is to further work on the Oceans Plastics Charter, adopted at the G7 top last June in Ottawa. Of the G7 countries, the USA and Japan have not signed this charter. Any measures that the G7 discusses and implements have a great impact on the generations to come. The G7 is advised by Youth 7 (Y7), a delegation that represents the youth of the G7 member states. What are the Y7’s recommendations to the environmental ministers who will meet on the Oceans Plastics Charter? The Y7’s recently published recommendations stress the need for the G7 to take legally binding measures to tackle the causes of the plastic soup crisis. It needs to be far more rigorous than the Oceans Plastics Charter. One example is that not the suggested 55% of all plastic packaging should be recycled in 2030, but 85% of all plastic should be recycled in 2025. The emphasis should be on reducing plastic production while alternative products must not depend on greater use of fossil fuels. The Oceans Plastics Charter currently places the emphasis on recycling and recovering. 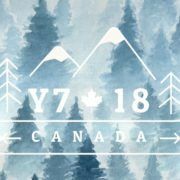 The Y7 however, believes that the G7 should explicitly reduce the waste stream and that we should be zero plastic waste in 2025. A complete ban on microplastics in cosmetics and toiletries. These too must be attained before 2025. Young people are the future, but they will only have a future if the seats of power in the most important world economies take the right decisions now. Amsterdam, June 7, 2018 – This summer, Jumbo will be the first national supermarket chain to actively reduce its use of plastic packaging by using natural branding. This is a technique in which laser light is used to brand vegetables and fruit, by removing a little bit of pigmentation from the outer layer of the product’s skin. Jumbo will start with the organic vegetables ginger, butternut squash, and zucchini, and is currently researching which other product might qualify for the laser technique. The initiative comes at a time where more and more attention is given to the reduction of single-use packaging plastics. Jumbo is striving towards increased sustainability of its supply of Dutch potatoes, vegetables, and fruit. When foodstuffs of plant origin meet certain requirements – such as cultivation with far fewer plant production products – the products are eligible for the international PlanetProof label, which will replace the Dutch Miliekeur label starting January 1, 2019. Doing away with plastic packaging, however, isn’t a separate sustainability criteria in the certification scheme. 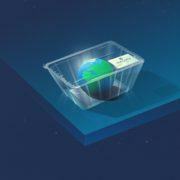 The new PlanetProof label does formulate requirements about plastic packaging itself. Use of PVC, for example, is prohibited, and starting January 1st, use of black plastic is no longer allowed. Waddinxveen, 10 March 2018 – ‘Natural branding’ is the technique by which fruit and vegetables are ‘branded’ with laser beams. The laser removes a bit of the pigment on the outer layer of the skin. The Dutch organic wholesaler, Eosta in Waddinxveen, was the first to use this technique a few years ago. 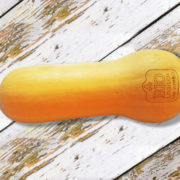 The company is branding more and more individual pieces of fruit and vegetables. What are the prospects of this technique in the fight against unnecessary plastic packaging? An interview with Eosta’s sustainability manager, Michaël Wilde. Natural branding seems the perfect alternative to plastic packaging. Are any supermarkets in the Netherlands using this technique? Eosta supplies organic fruit and vegetables to supermarkets. These products need to be distinguished from non-organic fruit and vegetables by the cashiers. Because of this, the end result was that the organic fruit and vegetables were packaged. This is not desirable at all because the customers that buy organic products are often the ones that condemn plastic packaging. If we brand these products with the laser technique, it would make a huge difference to the immense quantities of packaging materials. Hoogvliet was the first supermarket to sell branded avocados and ginger. 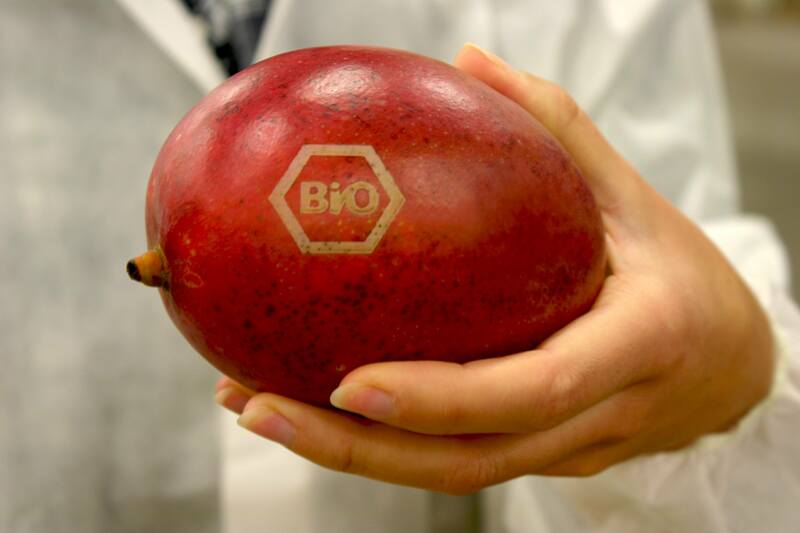 Albert Heijn is currently experimenting with mangoes. The technique is generating much interest. The greatest difference to be made in reducing packaging is in the non-organic fruit and vegetables. Is Eosta looking at this too? No, we only work with organic and pure products. 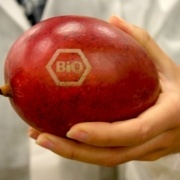 But the technique itself is of course suitable for non-organic products too – as long as the cashiers can distinguish between the organic and the non-organic products. Given the discussion in society about reducing single-use plastic packaging, we believe that more retailers will come to us for the laser technique. We were the first to offer this service, and we would only welcome more suppliers on the market. The European Commission wants to drastically reduce the volume of single use plastics. Do you think that politics should encourage the use of laser technique? We don’t think it should be done directly, but could be done indirectly. What would help, for example, is if governments made plastic packaging more expensive. This would automatically bring other techniques to the fore. Laser branding is still relatively expensive, but the machines are getting cheaper and more compact every year. On top of this, the products that initially could not be laser branded, such as lemons, can now be laser branded. Natural branding is still evolving. At the moment we laser brand imported products, but if the machines become cheaper and more mobile, suppliers could brand their own products themselves. The machine could be placed in plantations during the harvest. Do you see a role for consumers? Yes, definitely. Consumers can vote with their feet. They make choices every day such as, in our case, choosing for organic and packaging free. Interest in our technique is growing, partly because consumers are starting to demand it. In the United Kingdom for example, consumers are demanding packaging free aisles and shops – and these are coming too. Natural branding has come at the right time and has started an unstoppable journey. Bird view The Great Bubble Barrier in the IJssel near Kampen. Amsterdam, February 21, 2018 – The Great Bubble Barrier catches the plastic soup before it reaches the ocean. A recent pilot in the IJssel river demonstrated the success of the method. The elegant invention creates air bubbles which form a barrier that traps plastic in rivers. Carried by the current, the plastic collides with the wall of bubbles. The plastic waste is thus captured and directed to the waterfront to be cleaned up. Last November, the part of the IJssel near Kampen was the first location to test the bubble screen outside the laboratory. The experiment determined that more than 80% of the test material was captured. All over the world, rivers bring large quantities of plastic to the sea. Now there is a method to prevent that plastic from actually ending up in the oceans; a big dream for the founders of The Great Bubble Barrier. 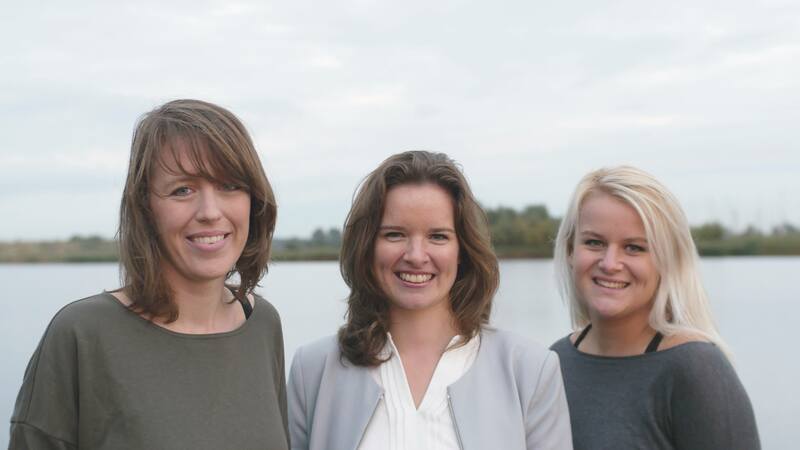 Francis Zoet, Anne Marieke Eveleens, and Saskia Studer searched not only for a way to capture plastic at the full breadth and depth of any river but also for a method that would allow for the passage of ships and fish to continue unhindered. They have succeeded on all accounts with flying colors. In 2016, The Great Bubble Barrier won a competition organized by Rijkswaterstaat and Puur Water Natuurlijk: ‘The Plastic Free Rivers Makathon’, which aims to stop the plastic problem. In collaboration with the Self Supporting River System (SSRS) team from Rijkswaterstaat, Deltares and BAM / van den Herik, the effectiveness of the bubble screen was first extensively tested in the Deltares lab. 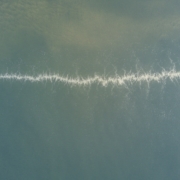 The results were positive, which resulted in the placement of a Bubble Barrier of almost 200 meters near Kampen in the IJssel for a test period of three weeks starting in November 2017. The now published results show that The Great Bubble Barrier traps plastic under all observed conditions. The effects of wind and current were also measured in order to be able to adapt the settings of the bubble screen to the circumstances at any time. In every weather condition, more than 80% of the test material was captured. The Great Bubble Barrier is a screen of air in the water. Both ships and fish can pass unhindered. Plastic soup, however, is blocked by the bubble screen and led to the side. The bubble screen is created by a tube at the bottom of the river through which air is pumped. The Great Bubble Barrier creates a bubble screen from the bottom of the river to the water surface. The resulting upward flow brings waste to the surface. By placing the screen at an angle, the natural flow is used to guide the plastic to the bank, making the waste easy to collect and remove. The Great Bubble Barrier is ready to start catching plastic soup. Every river, canal or city moat with flow is, in principle, suitable the placement of a bubble screen. 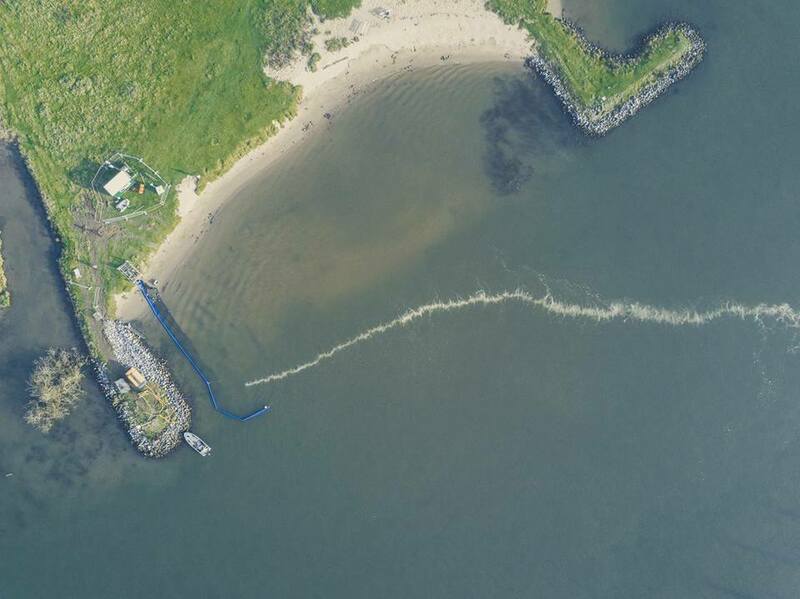 The Great Bubble Barrier provides an effective way to remove plastic from rivers and is also well-scalable, visually appealing and can last for ten years. Click here for more information. To quickly install the system permanently, a crowdfunding campaign has been started. Several well-known organizations, including the Plastic Soup Foundation, support the campaign and offer fun rewards for donors, such as straws made from reed and trips through the canals of Amsterdam to fish for plastic. Whoever wants to support The Great Bubble Barrier with a donation can do so here. News, Solutions, What is plastic soup?, What to do with plastic waste? Amsterdam, January 17, 2018 — In the spirit of turning challenges into chances, the European Commission presented its Plastic Strategy yesterday. 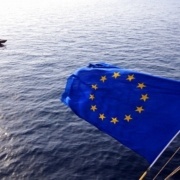 The European Union (EU) wants nothing less than to create a “new plastic economy”. The dilemma was put into words by Commissioner Frans Timmermans in his presentation to the European Parliament: “We can no longer live without plastic, but that very same plastic can be deadly”. In order to find a solution to this dilemma, the EU wants to drastically reform the plastic industry. On the production side, new demands to make plastic more recyclable are arising. In 2030, all plastic must be either highly reusable or easily recyclable. The focus on recycling lies especially with C02 profit, which is in line with the climate accord that was agreed upon in Paris in 2015. What does the EU hope to do about the increasing plastic pollution in the environment? A tax on single-use plastic is being considered, and container-deposit systems are also being heavily simulated. The possibility of an overall ban on microplastics in cosmetics is furthermore being researched. The plans, however, strongly rely on voluntary participation from the industry. The Plastic Strategy undeniably offers a framework through which to drastically take on plastic pollution. Whether or not this will happen in practice remains yet to be seen. Firstly, there is the relatively unambitious deadline of 2030. Between now and then, plastic production will increase enormously. The plans to place a tax on single-use plastic used for packaging are vague, while concrete reduction goals have yet to be formulated. 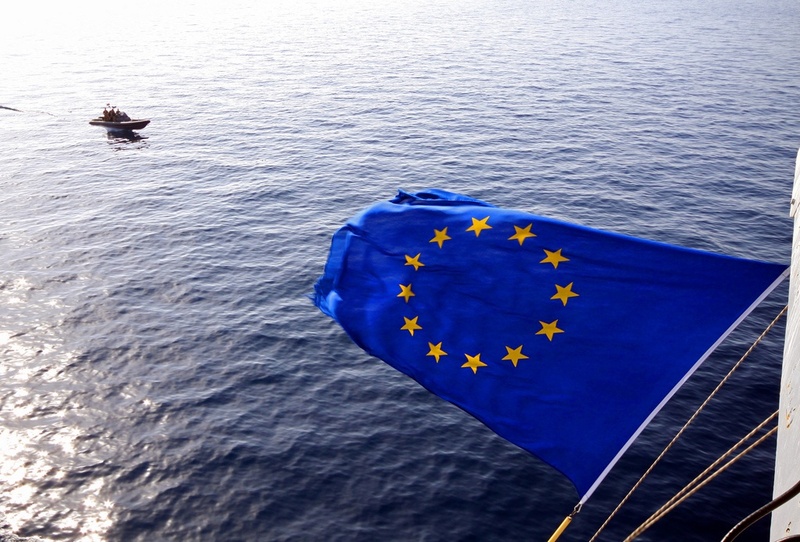 The EU has presented the plastic Strategy at an opportune moment. As of January 1st, China no longer accepts plastic waste from the EU. Europe must now process its own plastic waste. This creates a large opening for innovations in the recycling industry and gives the momentum needed to introduce necessary measures. The Commission wants to turn challenges into opportunities. The danger is that the EU sees the combination of economic growth and sustainability through rose-colored glasses. When the focus lies on “better plastic” instead of the drastic reduction of the overall plastic use, the chance of leaks into the environments remains large. The Plastic Soup Foundation has got hold of a study from 1996 in which the huge detrimental environmental impact – even then – of single-use potted plant trays is described. 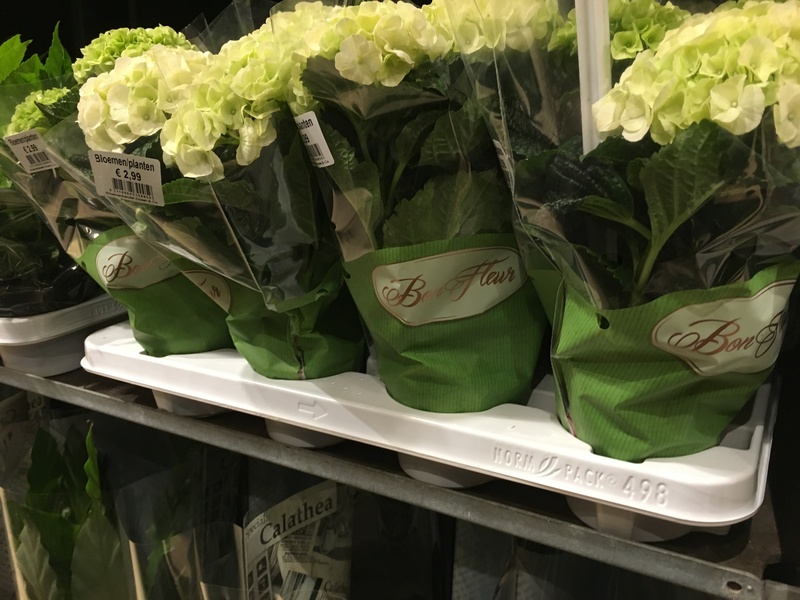 This shows that Royal Flora Holland has failed to address this problem for the last 21 years, choosing instead to explicitly continue to develop these trays. The study from 1996, carried out by the Environmental Studies Centre of Leiden University, leaves no room for debate. A lot would be explained if the auction house would publish the findings of a recent study – carried out by Blonk Consultants – straight away: this report draws almost the same conclusion. Hopefully it will lead to the realization that switching to multiple use trays would be a better choice for both the environment and the sector.